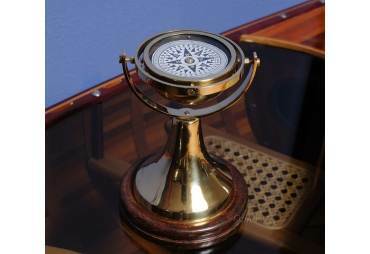 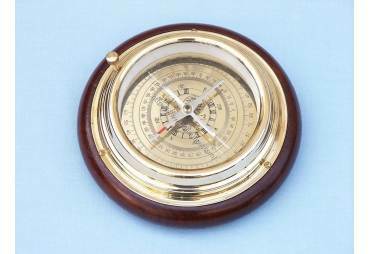 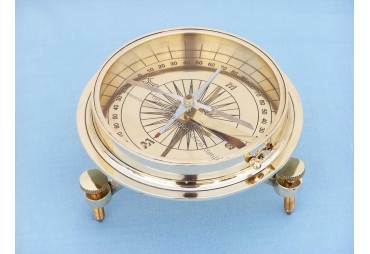 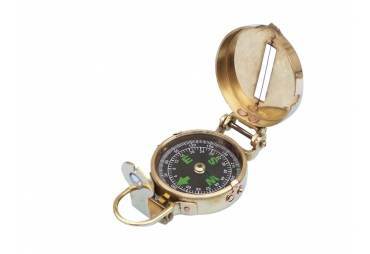 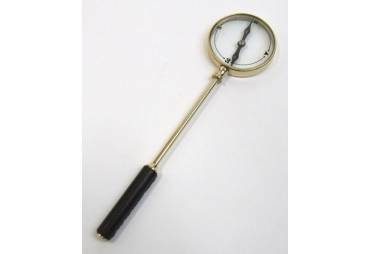 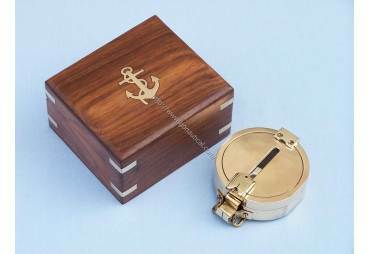 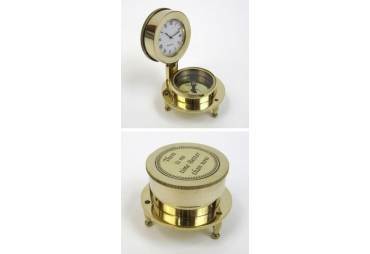 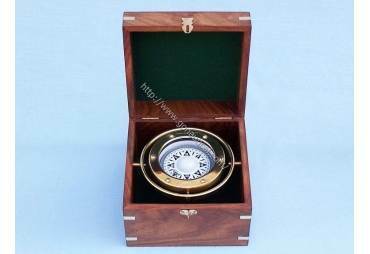 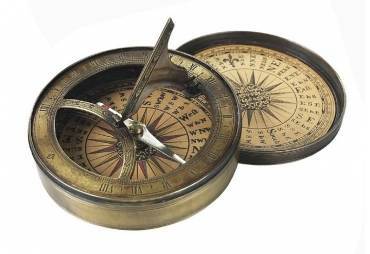 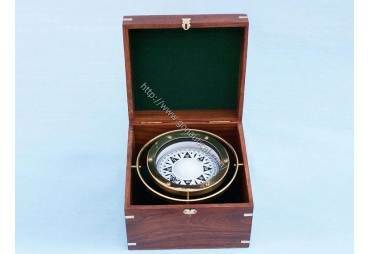 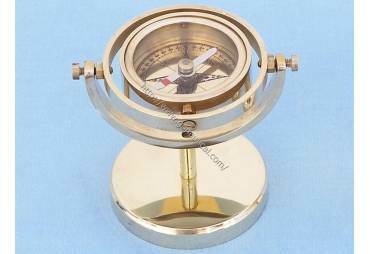 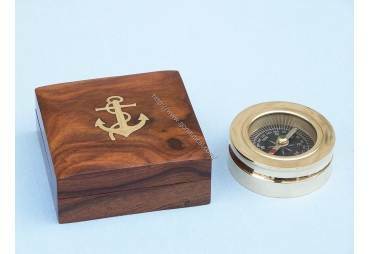 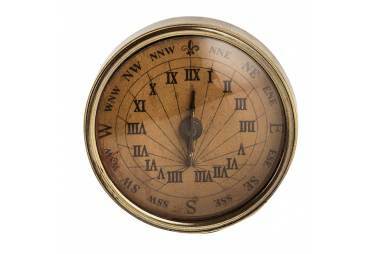 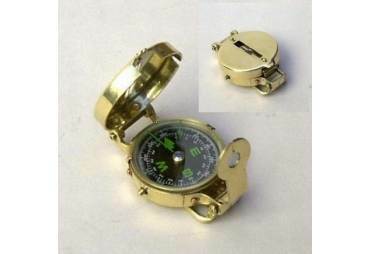 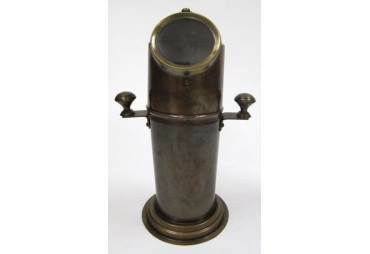 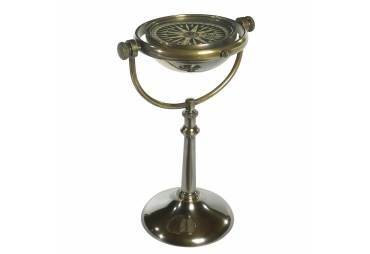 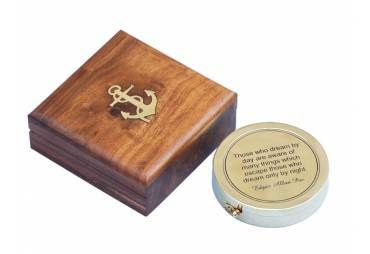 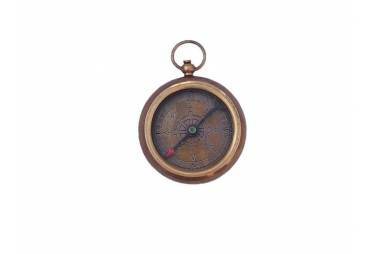 → Nautical & Coastal Decor >Compasses>Brass Directional Desktop Compass 6"
Features: Brass Navigator Desktop Compass 6"
The Hampton Nautical Large Directional Desk Compass is a solid brass lightly distressed reproduction of an antique air-damped compass. 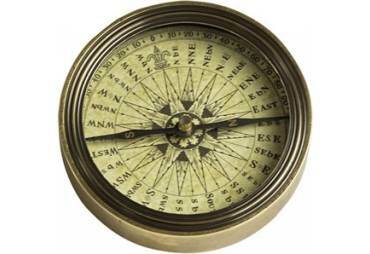 The compass needle has long, balanced air paddles mounted perpendicular to the needle to allow stable readings. 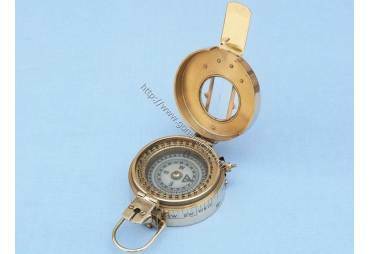 There is a needle lift thumbscrew to secure the compass needle while in transport. 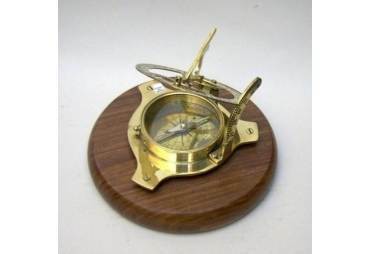 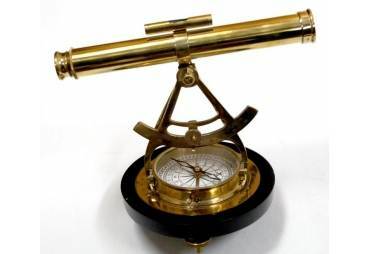 The brass compass is 4 3/4 inches in diameter and is mounted on a heavy beautifully-finished solid hardwood base that is 5 1/2 inches (14.0 cm) in diameter and 9/16 inch (1.4 cm) thick. 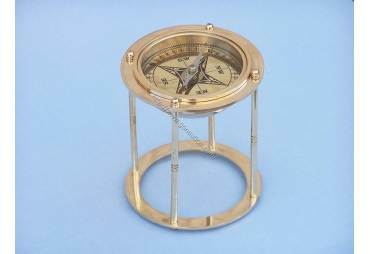 The base has three feet, and the compass and base is 2 inches tall and weighs over 1 pound. 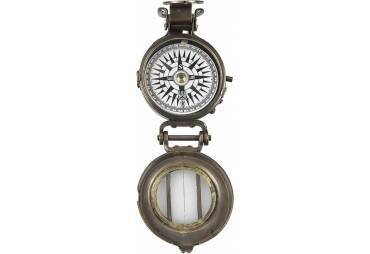 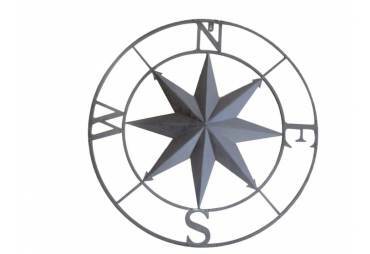 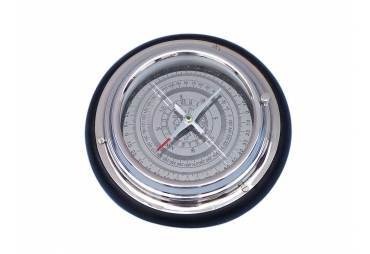 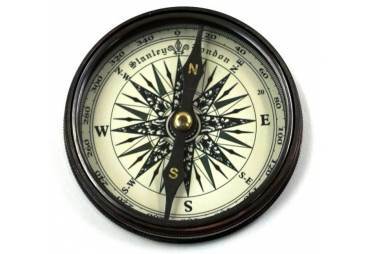 This compass makes a perfect desk accessory for the distinguished office or your home.